We have a sincere love for children and a commitment to help families raise their children to be prepared educationally, emotionally, socially, and spiritually to meet the challenges that are ahead of them. 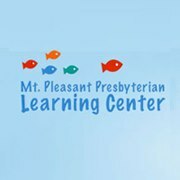 We believe that our preschool provides an environment that is safe and conducive to good health and where children can work, play, and learn together while being guided toward a happy, wholesome development. We believe that each child should be encouraged to progress at his own rate of speed toward enriched experiences, self-discipline, and the ability to make good choices. Our aim is to provide an education that develops the whole child by providing an educational experience of lasting value. We aim to help develop in children the feeling of being loved and valued. We keep our program flexible so that individual needs may be met, and each child can progress at their own rate of speed.